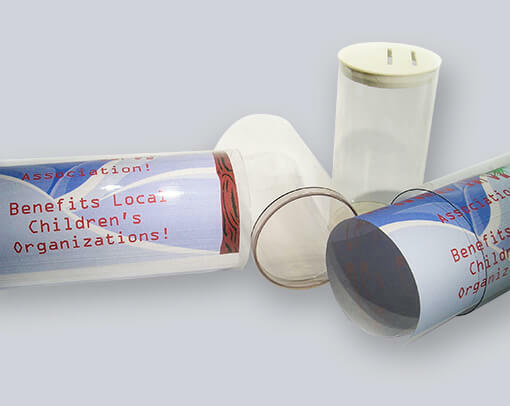 If your fund raising project is in need of donation containers, then you will love these clear plastic donation cans. All donation containers are made from a durable clear plastic with a clear unbreakable vinyl bottom. The top plug contains two slots so that one can be used for holding a stand-up message card. Tubes and plugs are sold as a unit; the same number of plugs and tubes are included in pricing. VisiPak donation containers are the perfect tool for your fund raising campaign. Our donation containers helped the Red Cross!